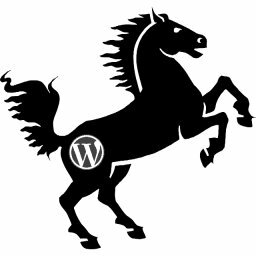 In the process of updating the Stallion WordPress SEO Plugin to version 3.0.0, have rewrote the plugin code, added new features (added WordPress SEO Plugin Warnings for the Stallion, Yoast and All In One SEO Plugins) and making the plugin translatable. This article will be important when the Stallion WordPress SEO Plugin version 3.0.0 is released. This is a work in progress (it’s a lot of work), it will contain all the plugin tutorial/help documentation. You will see mention of the Stallion Responsive Theme in the help files below, in the future I plan to move some of the SEO theme features (some can’t be moved) to the Stallion WordPress SEO Plugin so more users can access better SEO. Currently Stallion Responsive includes hundreds of SEO features (taken 10+ years to build), long term I plan to move lots of SEO features which should work with all themes to the Stallion SEO plugin and create a new WordPress SEO theme which works alongside the Stallion SEO plugin. The first feature added to the Stallion WordPress SEO Plugin were the Not Index features, the Not Index features are a replacement for the damaging robots noindex meta tags features that’s part of the Yoast WordPress SEO plugin and the All In One SEO Plugin. The noindex robots meta prevents the indexing of a webpage, the link benefit that would normally be ‘spent’ on a webpage (spent generating Google SERPs) that’s noindexed is wasted. The Stallion WordPress SEO Plugins Not Index features (uses canonical URLs) prevents the indexing of a webpage, the link benefit that would normally be ‘spent’ on a webpage that’s Not Indexed is mostly recycled back to the webpage within the canonical URL tag. Note: All the Not Indexed features discussed below are part of the Stallion Responsive Theme (under “Stallion Theme” > “SEO Advanced Options” : “Stallion WordPress SEO Plugin”). Stallion Responsive Theme users should NOT install the stand alone Stallion WordPress SEO Plugin. Under the Stallion WordPress SEO Plugin Options : Not Index Options Tab – WordPress Login Pages. Index Login Pages – Completely SEO safe, it’s the default WordPress behavior. When this option is set the Stallion WordPress SEO Plugin does nothing to WordPress Login Pages. Block Login Pages** – Completely SEO safe, this is the best SEO option. When this option is set the Stallion WordPress SEO Plugin adds a canonical URL to the Home page on WordPress Login Pages. See the more detailed WordPress SEO Tutorial Login Page article. See the more detailed WordPress SEO Tutorial Date Archives article. Under the Stallion WordPress SEO Plugin Options : Not Index Options Tab – WordPress Author Archives. Index Author Archives – Completely SEO safe, it’s the default WordPress behavior, if you are in any doubt about not indexing author archives, use this option. When this option is set the Stallion WordPress SEO Plugin does nothing to author archives. Block All Author Archives^^ – This is safe SEO wise for single Author WordPress sites with category or tag archives which are indexed. It’s important to have one type of archive (categories are usually the best SEO option) for search engines to access your WordPress Post based content. This is the best option for most single author sites. For multiple Author WordPress sites there could be value in having them indexed, see WordPress SEO Tutorial Author Archives link below. 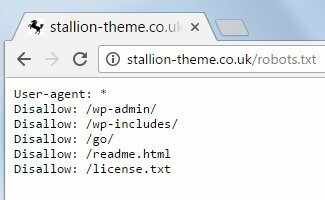 When this option is set the Stallion WordPress SEO Plugin adds a canonical URL to the sites home page on ALL author archive pages. Index First Author Archives Only : Block Paged 2,3,4… – This is safe SEO wise for most WordPress sites. IF you decide to keep Author Archives (see WordPress SEO Tutorial Author Archives Link below) this is the best SEO option. When this option is set the Stallion WordPress SEO Plugin adds a canonical URL to the author archives first page on all paged author archives. The first page of author archives will be spidered and indexed by Google. Author archive pages 2, 3, 4 etc… will be spidered, but not indexed by Google. Most of the SEO link benefit from author archive pages 2, 3, 4 etc… will be recycled back to author archive page 1 (the pages that’s indexed in Google). The SEO benefit of this is most of the ranking benefit is concentrated on the first page of a set of author archives, the first page is more likely to rank for any SERPs it targets. See the more detailed WordPress SEO Tutorial Author Archives article. Under the Stallion WordPress SEO Plugin Options : Not Index Options Tab – WordPress Search Result Archives. Index Search Results – Completely SEO safe, it’s the default WordPress behavior, if you are in any doubt about not indexing search results archives, use this option. When this option is set the Stallion WordPress SEO Plugin does nothing to search results archives. Block All Search Results – Unlikely to cause any SEO damage blocking all search results, but there’s no harm from indexing search results, so not recommended. If you block search results you can’t benefit from linking directly to them, see the WordPress SEO Tutorial Search Result Archives Link below. When this option is set the Stallion WordPress SEO Plugin adds a canonical URL to the sites home page on ALL search results archive pages. Index First Search Result Only : Block Paged 2,3,4… – This is safe SEO wise for most WordPress sites, this is the best option. When this option is set the Stallion WordPress SEO Plugin adds a canonical URL to the search results first page on all paged search results. The first page of search result archives will be spidered and indexed by Google. Search result archive pages 2, 3, 4 etc… will be spidered, but not indexed by Google. Most of the SEO link benefit from search result archive pages 2, 3, 4 etc… will be recycled back to search result archive page 1 (the pages that’s indexed in Google). The SEO benefit of this is most of the ranking benefit is concentrated on the first page of a set of search result archives, the first page is more likely to rank for any SERPs it targets. See the more detailed WordPress SEO Tutorial Search Result Archives article. Under the Stallion WordPress SEO Plugin Options : Not Index Options Tab – WordPress Category Archives. Index All Categories^^ – Completely SEO safe, it’s the default WordPress behavior, if you are in any doubt about not indexing categories, use this option. When this option is set the Stallion WordPress SEO Plugin does nothing to categories. Block All Categories – This is seriously damaging SEO wise (hence the red color), it’s added as an option for completeness. There are few scenarios where blocking the indexing of categories makes sense. When this option is set the Stallion WordPress SEO Plugin adds a canonical URL to the sites home page on ALL category pages. Index First Categories Only : Block Paged 2,3,4…^^ – This is safe SEO wise for WordPress sites NOT using the Stallion Responsive Theme. If you aren’t a Stallion Responsive Theme user this is the best option. When this option is set the Stallion WordPress SEO Plugin adds a canonical URL to the categories first page on all paged categories. See the more detailed WordPress SEO Tutorial Category Archives article. Under the Stallion WordPress SEO Plugin Options : Not Index Options Tab – WordPress Tag Archives. Index All Tags^^ – Completely SEO safe, it’s the default WordPress behavior, if you are in any doubt about not indexing tags, use this option. When this option is set the Stallion WordPress SEO Plugin does nothing to tags. Block All Tags – This COULD be seriously damaging SEO wise (hence the red color). There are a few scenarios where blocking the indexing of tags makes sense (see WordPress SEO Tutorial Tag Archives link below). When this option is set the Stallion WordPress SEO Plugin adds a canonical URL to the sites home page on ALL tag pages. SEO Tip : PageRank (PR) sculpting no longer works, hasn’t worked since around 2009, if you’ve read a WordPress SEO tutorial suggesting noindexing (or nofollow) tags it’s way, way out of date. Index First Tag Only : Block Paged 2,3,4…^^ – This is safe SEO wise for WordPress sites NOT using the Stallion Responsive Theme. If you aren’t a Stallion Responsive Theme user this is the best option IF you decide to keep your tags (see WordPress SEO Tutorial Tag Archives link below). When this option is set the Stallion WordPress SEO Plugin adds a canonical URL to the tags first page on all paged tags. The first page of tag archives will be spidered and indexed by Google. Tag pages 2, 3, 4 etc… will be spidered, but not indexed by Google. Most of the SEO link benefit from tag pages 2, 3, 4 etc… will be recycled back to tag page 1 (the pages that’s indexed in Google). The SEO benefit of this is most of the ranking benefit is concentrated on the first page of a set of tag archives, the first page is more likely to rank for any SERPs it targets. See the more detailed WordPress SEO Tutorial Tag Archives article. See the more detailed WordPress SEO Tutorial Home Page Archives article. Under the Stallion WordPress SEO Plugin Options : Not Index Options Tab – WordPress Paged Comments on Posts and Pages. This option only has an impact if your WordPress site has Posts/Pages with a lot of comments AND you’ve set Paginated Comments via “Settings” >> “Discussion” : “Break comments into pages with….” which breaks Posts with a lot of comments into multiple pages (Paged Comments). If you haven’t ticked “Break comments into pages with….” the following Stallion WordPress SEO Plugin option does nothing. See WordPress SEO Tutorial below for reasons to set this option. Index All Paged Comments – It’s the default WordPress behavior, if you are in any doubt about not indexing paginated comments, use this option. When this option is set the Stallion WordPress SEO Plugin does nothing to paginated comments pages on WordPress Posts and Static Pages. Index Main Post/Page Only : Block Paged Comments 2,3,4… – This is safe SEO wise for most WordPress sites, if you do NOT use the Stallion Responsive Theme this is the best option, if you do use the Stallion Responsive theme this might not be the best option : there’s a Stallion Responsive feature which uses the paginated comments for SEO gain (see WordPress SEO Tutorial link below). When this option is set the Stallion WordPress SEO Plugin adds a canonical URL to the Main Post/Page on all paginated comments pages. “Paging comments is enabled. This is not needed in 999 out of 1000 cases, so we recommend to disable it. This is terrible performance SEO advice for any WordPress sites with popular articles with lots of comments (see WordPress SEO Tutorial link below). The best performance SEO advice is ALWAYS tick the “Break comments into pages…” option, always have paginated comments pages. See the more detailed WordPress SEO Tutorial Paginated Comments article. All the output of this plugin is hidden in the head section of the code. If you can’t find the canonical code when viewing source of a webpage set NOT Cleaner Head. This will load some additional HTML comment code surrounding the canonical URLs. See the more detailed WordPress SEO Tutorial Clean Head article. When “Stallion WordPress SEO Warnings” is set to “ON” the Stallion SEO Plugin checks the Stallion WordPress SEO Plugin Options (checks it’s own SEO options) for potentially damaging SEO settings related to the Not Index settings (canonical URL usage to recycle link benefit). If ALL the SEO damaging Stallion WordPress SEO Not Index options are active Stallion outputs 2 red SEO warnings (related to categories and tags), 1 orange SEO notice (author archives) and 1 blue SEO reminders (date archives). The above screenshot (2 red warnings) is the worse case scenario of the Stallion WordPress SEO Plugin user ticking both the Not Index Tags and Not Index Categories settings: I hope no one does that, blocking both Tags and Categories is a bad SEO choice! In my experience the best SEO strategy is NEVER block categories and seriously consider not using tags (limit the number of tags to an absolute minimum). If you follow this SEO strategy you would set categories and tags to be indexed: the only question is fully indexed or just the first page of each category/tag. For Stallion Responsive Theme users setting fully index makes sense, for none Stallion Responsive theme users set index first page only. All the damaging Stallion WordPress SEO Plugin options related to Not Index are found under “Stallion SEO” > “Not Index” Tab. See the full WordPress SEO Tutorial Stallion WordPress SEO Plugin Warnings. The Yoast WordPress SEO Plugin includes SEO damaging section wide NOINDEX options. If you use the Yoast SEO plugin set the option Yoast SEO Warnings to ON to check for problems. When “Yoast WordPress SEO Warnings” is set to “ON” and the “Yoast WordPress SEO Plugin” is active (if the Yoast SEO plugin isn’t installed and active, the ON option does nothing) the Stallion SEO Plugin checks the Yoast WordPress SEO Plugin Options for damaging SEO settings related to the noindex robots meta tags. If ALL the SEO damaging Yoast WordPress SEO noindex robots meta tags options are active Stallion outputs 9 SEO warnings! The above screenshot is an extreme case of the Yoast WordPress SEO Plugin user ticking all the noindex options: I hope no one does that! All the damaging Yoast WordPress SEO Plugin options related to noindex are found under “SEO” > “Titles and Metas” – under the tabs “Post Types”, “Taxonomies”, “Archives”, and “Other”, be very careful with these options. Some of the Yoast NOINDEX options are really, really STUPID, why would any user want all their WordPress Posts and/or Static Pages NOT indexed in Google etc…? See the full WordPress SEO Tutorial Yoast WordPress SEO Plugin Warnings. The All In One SEO Plugin includes SEO damaging section wide NOINDEX and NOFOLLOW options. If you use the All In One SEO plugin set the option All In One SEO Warnings to ON to check for problems. When “All In One SEO Warnings” is set to “ON” and the “All In One SEO Plugin” is active (if the All In One SEO plugin isn’t installed and active, the ON option does nothing) the Stallion SEO Plugin checks the All In One SEO Plugin Options for damaging SEO options related to Noindex and Nofollow robots meta tags. If ALL the SEO damaging All In One SEO noindex and nofollow options are active (click the image below to see all bad All In One SEO Plugin options) Stallion outputs about a dozen warnings! The above screenshot is an extreme case of the All In One SEO Plugin user ticking all the noindex and nofollow options: I hope no one does that! All the damaging All In One SEO Plugin options are found under “All In One SEO” > “General Settings” : “Noindex Settings”, be very careful with these options. See the full WordPress SEO Tutorial All In One SEO Plugin Warnings. Everything under example.tld/wp-admin/ are admin resources and shouldn’t be indexed by Google. Occasionally WordPress pages under the admin section will be indexed by Google by mistake. Currently not a Stallion WordPress SEO Plugin feature, but worth covering. Consider using your sites robots.txt file to block search engines from indexing everything under the /wp-admin/ WordPress folder. See the more detailed WordPress SEO Tutorial Disallow WP-Admin via a robots.txt article. We are going through an audit of all our plugins for upcoming GDPR and we are trying to find out what cookies your plugin might use?